We’ve been doing toy rotation for three years now and I must say, I’m the biggest cheerleader for toy rotation! I used to feel overwhelmed and overun by allllll of the toys and none of them seemed to be entertaining my little one. At. All. So we started experimenting with toy rotation when my eldest was 9 months old and we haven’t looked back! 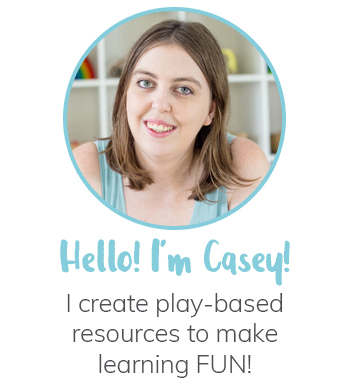 Today I’m going to answer some of the most frequently asked questions I’m asked about toy rotation! Let’s get stuck into it! But first, why should I start toy rotation? 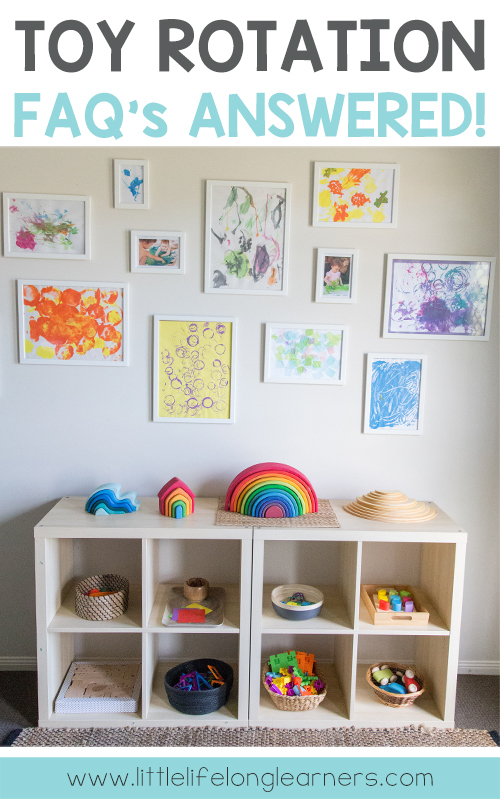 There are soooo many benefits when you embrace toy rotation in your home! 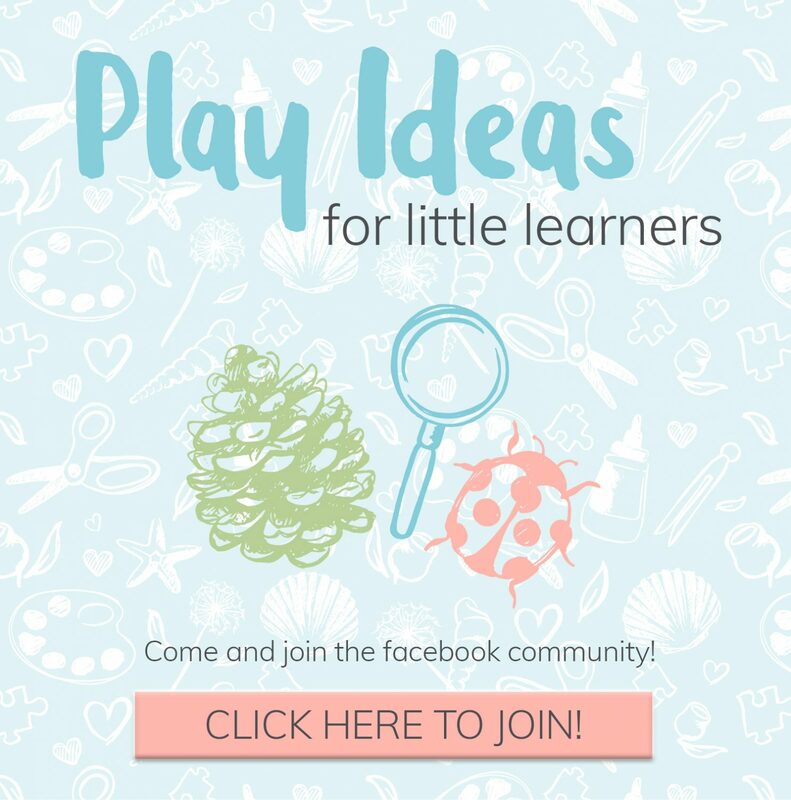 Not only will you cut that toy overwhelm feeling from your home, you might also notice your little learners playing for longer periods of time. 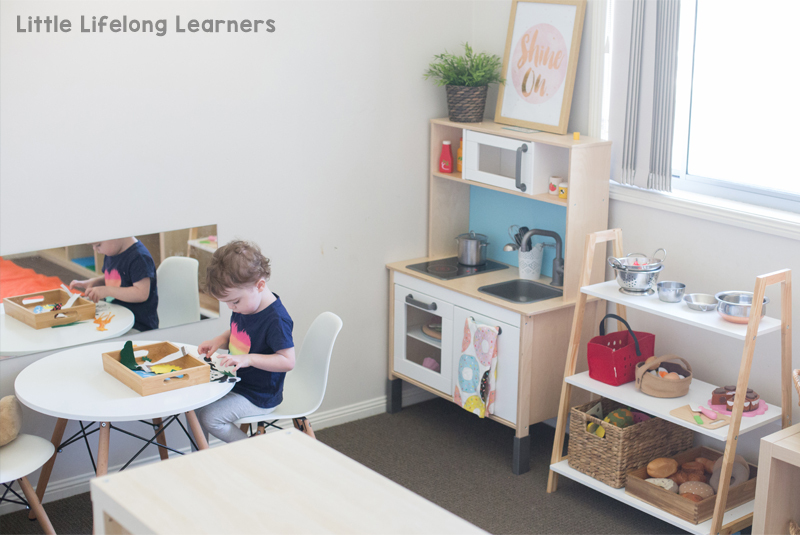 They’ll be more engaged in their play and become creative thinkers and problem solvers! When there’s too much to choose from, it’s easier to choose nothing and move on. And that’s when you may start finding toddlers playing in the toilet or preschoolers painting their body with your mascara! Where do you store all the toys out of rotation? In the past, we stored all our excess toys in big plastic crates in the cupboard. But now our toy room is located in the master bedroom so we use the walk in wardrobe to store EVERYTHING! We use some KALLAX cube shelving from IKEA with the fabric DRONA boxes. All of our toys are sorted by category – so we’ve got a few boxes for wooden toys, dolls, dress ups, play dough, instruments etc. What are your top tips for toy storage? I’d definitely recommend starting with a big cull! Sort through what you have and throw out anything broken or missing pieces. Then go through and decide what you want to keep and what you’d like to sell or rehome. Then you’ll be left with your collection! Decide whether you’ll have 4-6 crates for rotating or whether you’ll sort your toys into categories. 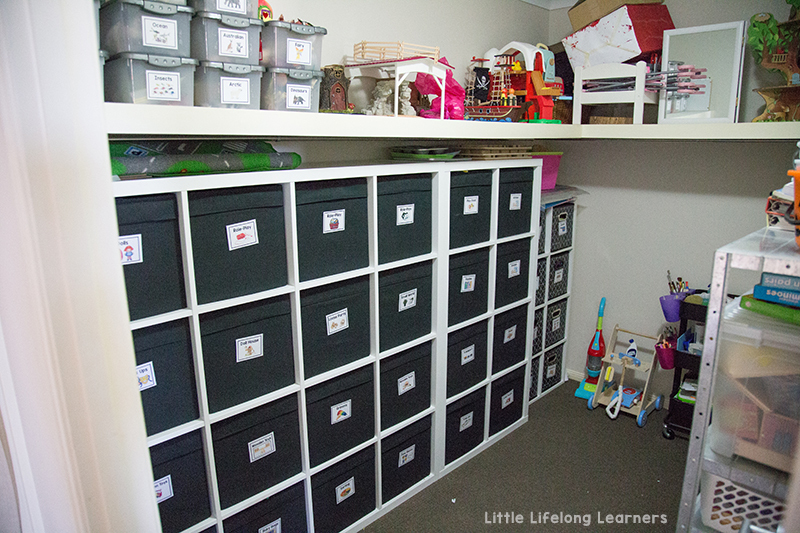 Find a spot to store the excess toys (in a cupboard, under a bed, in the garage etc) and COMMIT! How often do you rotate toys? I used to rotate our toys every few weeks, but now I tend to just rotate a few things at a time. Observing the kids playing is the secret! When I notice they’re drawn to particular toys or activities and ignoring others, I’ll move things around or swap things out for something new. This week my 4 year old asked for a farm small world and she has been totally engaged in farm play all week! How do you decide what toys to put out? I don’t have much of a system here! 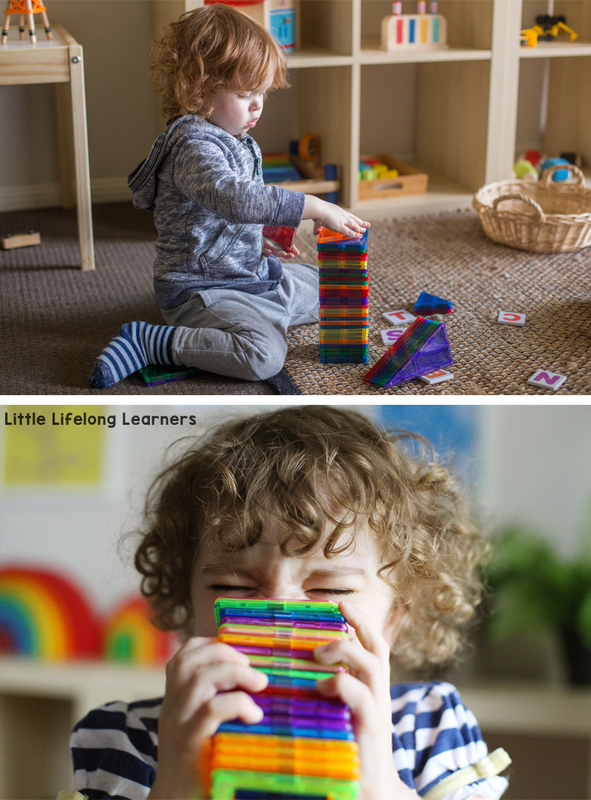 I’m often asked if I pick a certain amount of items for fine motor skills, building, language etc – but I honestly just observe our children at play and let that guide my decision! Generally though, we do tend to have a puzzle out and I do consider which children will be in the space the most. 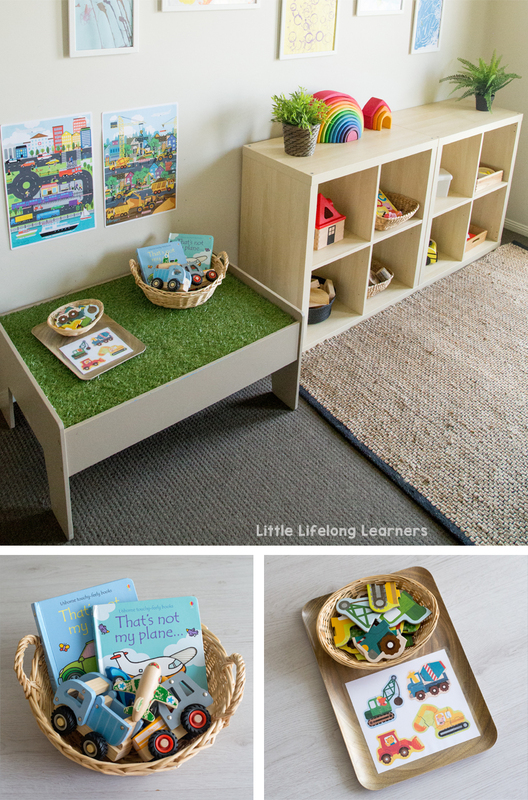 My eldest is at Kindy 3 days a week so there are more items out suitable for our 2 year old than our 4 year old. What if your child has a favourite? Do you rotate it or always keep it out? Our children both LOVE magnetic tiles! We have a set of PlayMags from The Creative Toy Shop and some of the Kmart magnetic tiles. They are out on our shelves all of the time because they are so well loved. My 2 year old in particular will come back to them over and over! Most of our toys rotate in and out but the open-ended ones tend to stay out for longer periods of time. What are some of your favourite toys? I am such a fan of open-ended play! So we are moving away from traditional toys and adding more open-ended materials to our play space! Right now, my favourites include our Schleich animals, Grimms Rainbow and Semi-Circles, Grimms pebbles and our Natural Building Blocks. We’ve also recently just added a set of Grapat Nins, Rings and Coins to our collection (from Honey Bee Toys) and they are just gorgeous! Do you rotate books as well? We do! We used both our Aldi book stand and our FLISAT book display to rotate our books! 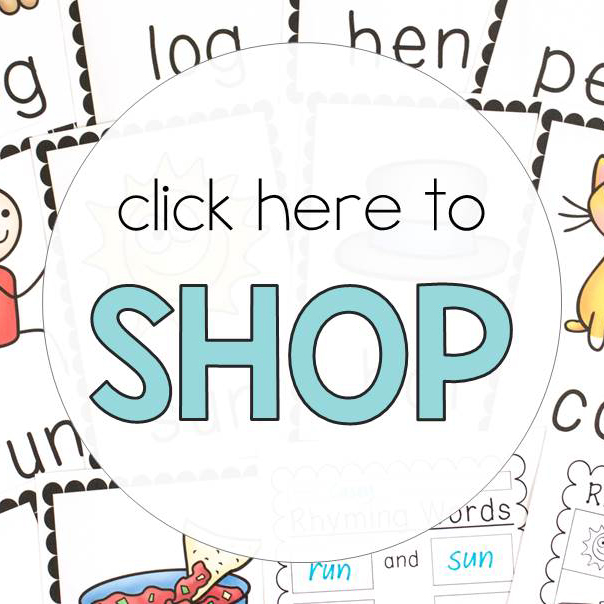 I’ll often add them to baskets with matching toys as well – it’s a great way to build their vocabulary as they play! 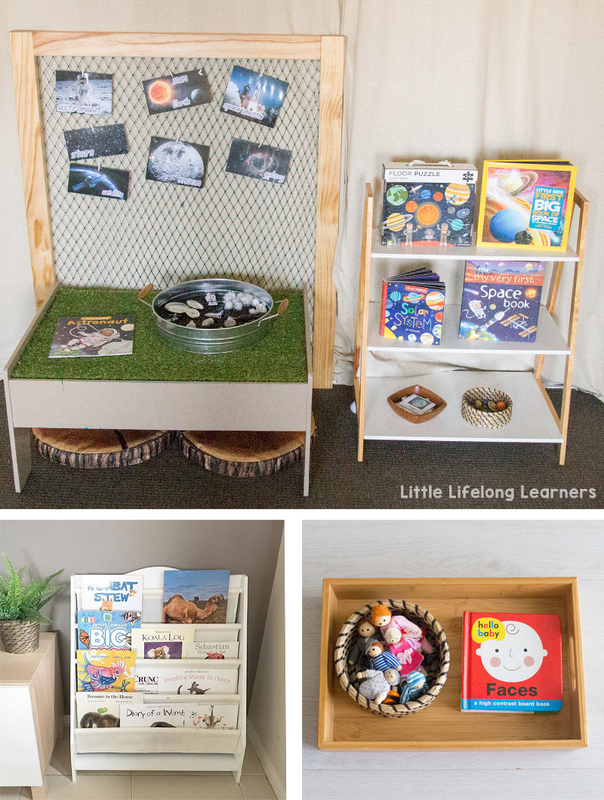 Sometimes I add books to our small world play space as well as a wonderful way to support language development and content specific vocabulary! How do you afford such lovely toys? This is such a complex question, but one that I’m asked sooooo often! Firstly, we prioritise quality, open-ended toys so we are more than happy to pay a little extra for that. I like to think of toys in terms of YEARS of use rather than months. Most open-ended toys will be suitable for many age ranges so the cost outweighs the need to constantly buy more and more toys that won’t last anywhere near as long! I’m also very fortunate to work with some fantastic small businesses and brands that gift us toys or a substantial discount. However, I only share things that I truly believe in and that our children adore as well! How does clean up time work? It’s super quick! With less toys out, pack up time is a breeze! Everything has it’s space and we can get everything reset in under 10 minutes if everyone helps! I encourage the kids to help as much as possible – they do learn pretty quickly with frequent modelling and praise! Do you play with the kids too or do they just entertain themselves? It’s a beautiful mix between the two! I believe it’s important to play with your children totally distraction free. That means putting the phone aside and just playing! I also think it’s wonderful to foster independent play as well – so it’s a bit of a juggle between the two! Do you have toys in other rooms of the house or just the play room? 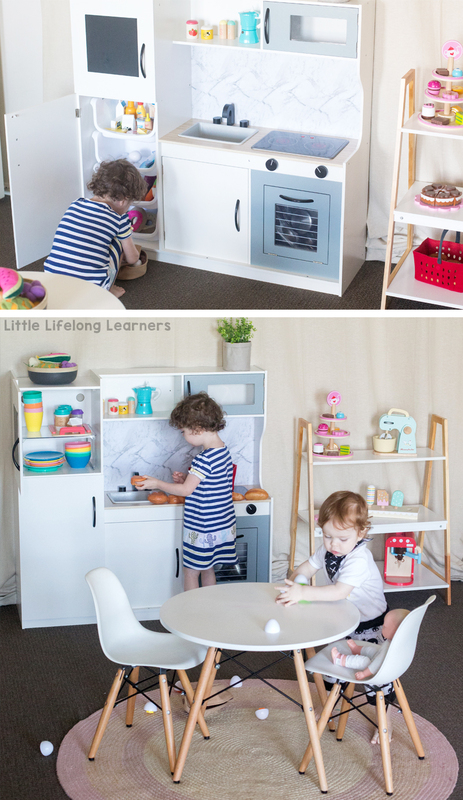 We have our play kitchen and dolls area set up in the dining room! We just didn’t have enough space in the play room and it was getting too messy! So that lives in our dining room now and I’ll often rotate the items out there too, just to keep things fresh. Our 4 year old has a dolls house in her bedroom and our 2 year old has some of his favourite trucks in his room. Otherwise, everything else is in our play room! So there you have it – the answers to come of my most commonly asked questions regarding toy rotation! If you have any other specific questions, be sure to pop them in a comment below! You can also join the wait list for my brand new eCourse, Toy Rotation 101 where I will teach you my four step process for cutting the toy overwhelm from your life!